The following learning points are collated from Regional and Rural hospitals of NSW, Australia, represented here by a single fictional institution – Umbara Base Hospital. Cases are amalgamated and anonymised (including alteration of patient demographics) such that similarity to real patients is coincidental. Below are some high-yield learning points collated from the Umbara Hospital trauma case review meeting. 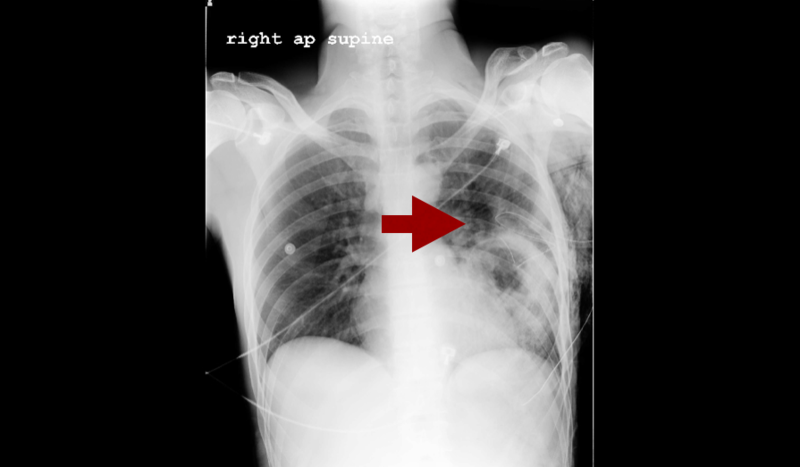 Always check the chest drain with a CXR – particularly check for the drain’s position and for complications such as kinking, as can be seen in this left sided CXR. 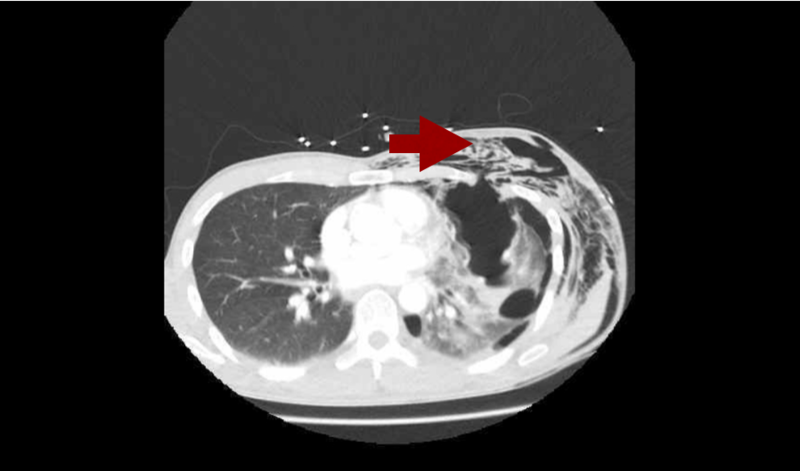 Pneumothorax is often associated with subcutaneous emphysema (free air in the tissues under the skin). It feels like bubble-wrap and looks like this on CT. Don’t press too hard though – it’s likely there are rib fractures underlying the air and they are extremely painful! Trauma in older patients is increasing with our ageing population here in Umbara – ever improving management of chronic health conditions means people are living longer. It is difficult to predict mortality in elderly trauma and hence some scoring systems exist. Mortality: 205=75%, 233=90%, %, 252= 95%, 310=99%. These scoring systems may help guide discussions with patients and their families in the future. Data from the UK Trauma Audit and Research Network (TARN) showed that 2.5% of children in their database had suspected child abuse underlying their injuries. 97.7% of these children were aged <5yrs; 76.3% were aged <1yr. Injury severity score (ISS) was also greater in patients with suspected child abuse: they were 1.7x as likely to have an ISS score >15. You can read more in this free-to-access paper. IDENTIFY risk factors through history, examination, observation. Although non-accidental injury can occur in the absence of these factors, there are several factors which have associations with non-accidental injury. When Umbara Base Hospital’s own Dr Tallie fell from her horse earlier this month and ended up being treated in her own Emergency Department, she was in a unique position in being able to provide constructive feedback around her own care with a full understanding of the processes of the hospital. 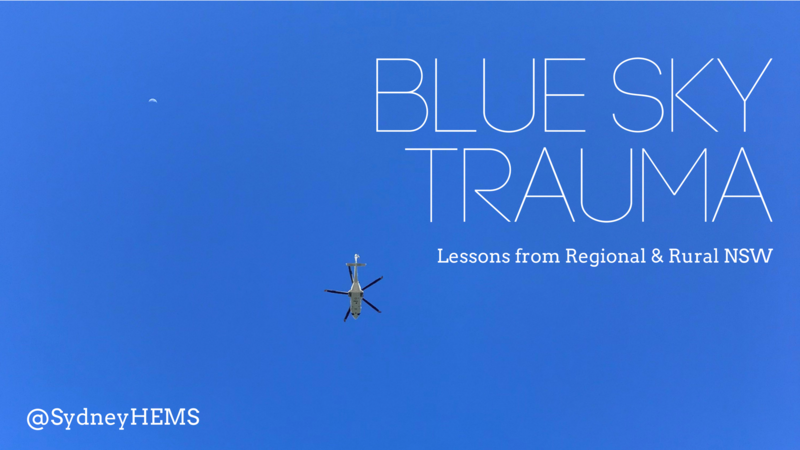 This month we invited her to share her thoughts at the trauma case review meeting and were delighted to learn the following. She particularly noted that nurses are awesome (both during her ED and ICU stays): she added, “it’s the ‘little things’ that make all the difference”. Having experienced both, she found regional block much better in the pain management of her rib fractures than drugs. Overall she was dismayed to realise just how long bones take to heal. Huge thanks to Dr Tallie for her insights – we wish her well on her recovery.